Event details can be found below. Please book online whenever you see the Book Online link. If you have any enquiries relating to a booking, please email bookings@rco.org.uk or call 020 3865 6998. Note that the 24-hour clock is used on all event listings. For classes, the following key is used as a guide to level and suitability : Beginner (Grades 1-4); Intermediate (Grades 4-6); Advanced (Grades 6-8 / CRCO); Diploma 1 (CRCO–ARCO); Diploma 2 (ARCO–FRCO); All Standards. For more information on the different types of events organised by the College, click here. 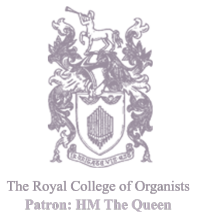 To mark the RCO's 150th anniversary, this one-day conference in Oxford (at Somerville and Keble Colleges) on 12 April will examine the environment which led to the foundation of the College of Organists in 1864, and investigate the preoccupations of the College's founding fathers and early members as they established a professional body for British organists, which eventually earned a Royal Charter in 1893. It will feature a recital by Graham Barber at Keble College. For on-line booking scroll down to the bottom of the page. The Royal College of Organists is working in partnership with The Open University. Timothy Day (Hereford): Where did the English treble come from? Saturday 12 April, 09:30–18:30: ‘Set Your Sights! a taste of the organ scholar experience’. For ambitious teenage organists who are preparing for or considering organ scholarships in universities, cathedrals or churches. Tuition on repertoire and keyboard skills in the morning; sing, accompany and conduct choral evensong in the afternoon. If you have a problem with the on-line booking system please call RCO Bookings on 05603 488231.